The myth of the aswang (or asuwang) is a vampire-like witch ghoul known throughout the Philippines. Aswang refers specifically to a ghoulish were-dog, from the word "Ang Aso" ("The dog" in English). It is a combination of a vampire and a werewolf Aswang is derived from Sanskrit word "swan+ang" (shwan = dog and ang = body). It's the subject of Filipino hunting stories from films to reading materials taunted as the most feared among the mythical creatures of the Philippines. It is widely especially popular in the Visayan regions such as Capiz, Iloilo, Negros, Bohol, Aklan, Antique, and Siquijor. 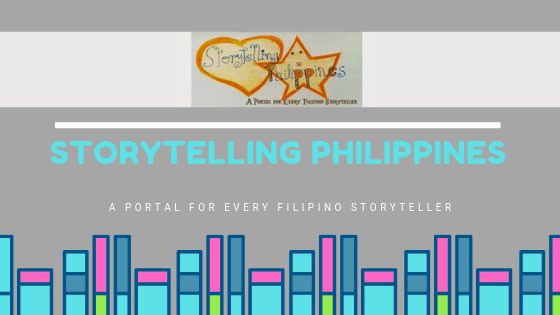 Aswang stories and definitions vary greatly from region to region and person to person, and no particular set of characteristics can be ascribed to the term. Other regional names for the aswang include "tik-tik" "mananangal" "abuak" and "wak-wak". However, the term is used interchangeably with manananggal and are also usually depicted as female. Aswang are usually portrayed as an ugly creature with wings which they flap loudly when is far away and quietly as they come closer. In its human form, you can identify them with a look in their eyes (fiery red), thin lips and they say a reflection in them would appear inverted. They steal corpses as part of their meal, particularly on every full moon, they like to eat the livers and heart of living people, but they are better known to drink human blood and eat the unborn fetus from pregnant women. When they know of a pregnancy (from afar the scent of a pregnant women attracts the), at night they would land on the roof of the pregnant woman's room silently to remain undiscovered, dig a unrecognizable (to human eye) hole to get inside with their razor-sharp teeth and their tongue that can stretch out as a thin wire. From inside the mother's belly button they drink the blood and eat the fetus. Pregnant mothers who failed to acknowledge aswang acts runs to the hospitable for immediate care resulting as miscarriage. The Aswang are consider to be female, and uses an ointment based on the fat of a baby. Some walk with their feet facing backwards and their toenails reversed, and they are so thin that they can hide behind bamboo posts. They are also shape-shifters, they can transform in an animal form. The male version of the monster take the form of board headed creatures and use the board to rend their victims. As humans they have dark complexion and have lots of hair. Usually they attack young children that like to wander too far from home. Another types of Aswang are the Tik-Tik, camouflages as a bat or birds, looking for pregnant women, and the Wak-Wak, who transform into a bird, leaving the lower part of their body behind and makes a wuckwuck sound. Based from the facts I gather from the old folks "kwentuhan" (chats and recommendations from friends) that we also applied when the women in our house became pregnant. Aswang have weakness because they are ordinary human too that became a victim of some sort that possess bad element. There are some "pangotra" (protection against) for aswang and usually they are afraid of buntot pagi (dried stingray's tail), the scent of garlic, the presence of rock salt, "pausok' with insenso (smoking incense in rock form), walis tingting (broomstick), "langis or lana (oil) and itak or bolo (blade). A personal story from us to ward off aswang; we bought new walis tingting and display it upside down in the main entrance of the gate leading to the main door. They say this is to keep away the aswang. We hanged whole native garlic laced into string in all the house's doors and my room's window and rooftop. "Buntot pagi" is always beside me especially when sleeping, we also sprinkle rock salt at the front and back door as purifying agents (similar to cleansing the house to keep away bad spirits.) Salt is used to burn their skin. Itak or bolo is place inside the main door is said to ward off aswang. When going outside the house, pregnant woman places garlic laced into belt-like accessories (hidden underclothes) or put inside pockets for protection. We light incense and create foggy smoke once in a while and run the smoke all throughout the house divisions. the "pausok is effective when there's a baby around, it soothes them and falls into sleep. Some babies they say who continually cries with no reason they say is being disturbed by aswang or its co-creatures. Baby scents as well attracts the aswang. Some may find this habit (culture) weird and funny. But here where we live (in an urban place like Manila) you may think its absurd but we believe the unborn child (7th month) of a family member was partly disturbed by aswang in 1990's, the baby didn't make it, that time the pregnant mother did not believe in such things. Again in the province another relative pregnant mother had her son born without skull (although medically speaking there is a known cases of missing skull) but this happen in a farm where her pregnancy is normal until it appears without skull when the baby is due to come out. Even in these days, mothers tell stories about the Aswang to keep their kids off the streets at nights. And in most stories featured on newspaper related to kidnapped children, grave robberies or bizarre incidents, the creature is to be blame. But they are not shallow enough to differentiate bizarre from reality of crimes and human wrong doings. Perhaps they have bad blood in them that makes them aswang-like behavior. aswang etc are not myth they are real really real im from Mindanao as well as my family we were very poor way back then nipa hunt bamboo floor so we encounters a lot of that kind of monster but believe me if you really trust and believe God nothing will be happened just like my father I was so young like 5 years started going with my father to pick some stalk of rice in the fields that were left after harvesting so that we have food to eat my father has this kind of slow walking hes really slow to walk n one day we were left behind by my other sibling so my father ask me to catch up with them to go back home but I told him im not gonna leave you papa til the dawn comes we started hearing those noisy sound like wak wakwak and others kikik kikik we heard them like they are very closer and sometimes far and they say that if you here them wak wak like its far from you that means they are really close to you and if the wakwak sound is closer that means they r far from you, but the one that we heard that time is far but u can feel the gust of wind so my father suddenly stopped walking and hold my one hand and told me to bend my knees with him he put the one sack of stalk of rice and I bend my knees as my father told me to, we closed our eyes and my father started praying right then but I noticed that that gust of wind suddenly stop when my father almost finished his prayer and we didn't even heard the wakwak sound again and we made it back home safety started that I didn't leave my father I always sleep beside him cuz I scared a lot even when I go to the cr at night to pee I always asked my father to come with me and he wait outside you know our cr before is not attached to the house and im so proud of my father taught me everything not to scared he even told me his most favorite memory verse in the bible and the most effective against wakwak is psalm 23 and psalm 91 with Isaiah 41:10 that's the powerful but it only effect if you have a lot of faith in it have a blessed day! !also we have a medicine for wakwak we call it lana in Cebuano if a person is affected by wakwak all he or she has to do is drink the oil in that lana and walahhhh he back to normal person I experienced that with my mama also cuz my father was working ther was a couple in our neighboring area that the husband notice that his wife will always go to window and making sound like wak wakwak he went to our house if my mom can cure her and she says you have to tied her up very tight cuz they r strong she might not want to drink my medicine so that night the husband tied her as soon as my mother get closer to her the wakwak the lana or medicine that's in the bottle was bubbled and the wife wakwak screamed she insists to drink the medicine so they come up with an idea to give her a cup of coffee in it my mom put some oil or lana in the coffe n they give it to her she drink it after a few minutes she vomit and there there is a little bird black its like a baby bird my mom says if that bird grow and not baby anymore the wawak wife will be able to fly jut like the rest of aswang and there an old woman went in and get mad at my mama but my mama and me and my sister went home immediately cuz that old woman was the lola of the wakwak wife and she is the one causing it according to her husband that their lola give her wife a one whole fish that is cooked already but the husband was at work that time so the wife ate it first and he got home his wife told him that there is a fish or inon onan there in the table from lola and he asked his wife did you eat some of this and she says yes and the husband got worried he give the fish inon onon to their cat but the cat didn't eat it that means the fish or the inon onon was not real fish bt that was human flesh that their lola put dark mgic in it to look like it is the real fish to normal people and my mama instruct them to let the cat claw scratch the fish and wallaaahh it was the arm of the human so disgusting evil!! If you have personal encounters with this so called "aswang" you can drop us an email and include your personal story.